This has been a point of debate for a while, with some claiming that the age of the tablecloth has come and gone, along with uptight classic dining and all its expectations in favor of more relaxed, informal restaurants. So, let’s weigh the pros and cons of commercial tablecloths to find out whether they’re the best option for your restaurant. Tablecloths protect your furniture. Tablecloths protect your expensive tablecloths from unsightly stains, scratches and scuffs. Restaurant tablecloths have a positive impact on dining experience. A survey on dining habits and perceptions has found that diners have expressed a more positive perception not only of their food but of the overall ambience and service of a restaurant when they dined at a restaurant table draped with a nice fabric tablecloths. According to the same survey, 75% of people consider tablecloths an essential element of their restaurant dining experience. They are an easy way to dress up your restaurants for less money. Table linens keep your aesthetic options more open. For one, you can easily transform the most basic of tables into something of more elevated appearance with the right tablecloths. 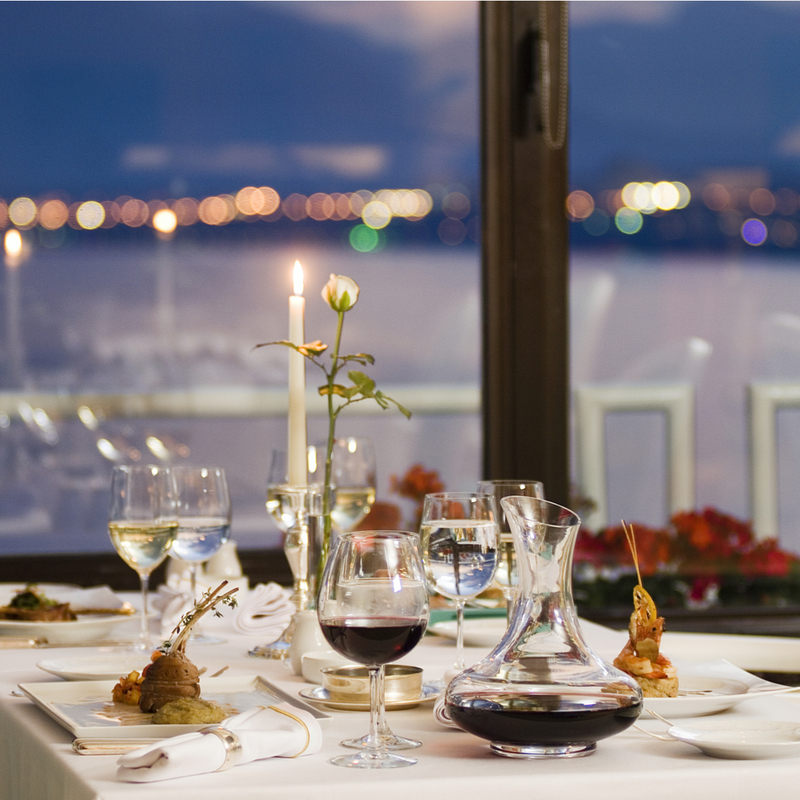 Table linens prevent excessive noise at your restaurants. Table linens of quality thickness, as opposed to ones made of flimsy and cheap material, provide an ample barrier between the furniture and the clatter of tableware, glassware and cutlery. Tablecloths can be expensive. Unless you are willing to risk using low-class, poor-quality linens for your restaurant tables in the name of saving some dollars, tablecloths are bound to cost you significantly. It doesn’t matter whether you’re dressing up ten or thirty tables: high-quality tablecloths can throw your overhead expenses awry. Tablecloths are more challenging to maintain. Compared to their paper alternatives, tablecloths can be difficult to maintain. They need to be washed, ironed, and stored – and expertly at that to maintain their appearance – which, understandably so, requires additional costs for both equipment and manpower. Tablecloths require storage space – which your restaurant might not have. In addition to textile laundering and maintenance, owning commercial tablecloths for your restaurants means additional requirements for storage space. But don’t fret and don’t let the discouraging cons sway you against tablecloths! There is, thankfully, a better way of letting you enjoy all the benefits of tablecloth use sans the disadvantages: restaurant linen services! If you’re on the lookout for a better, more convenient way of doing tablecloths, contact us at Superior Linen Service today! We offer a wide range of table linens and napkins, all designed to endure the heavy demands of the food service industry. We have more than seventy years of expert industry experience and a team of professionals all eager to help you bring out the best in your business! Quality tablecloths never go out of style. Get yours today from Superior Linen Service! Dial 253-383-2636 or drop us a line at info@suplinen.com to get in touch with our sales representatives and learn more about how we can help you!